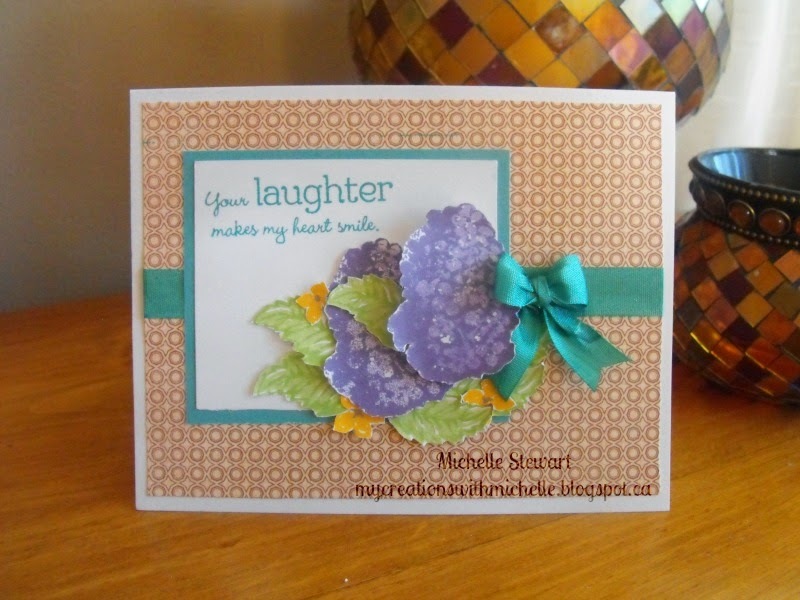 I had this lovely card envisioned in my head, I sat down to make it and it just didn't come together. 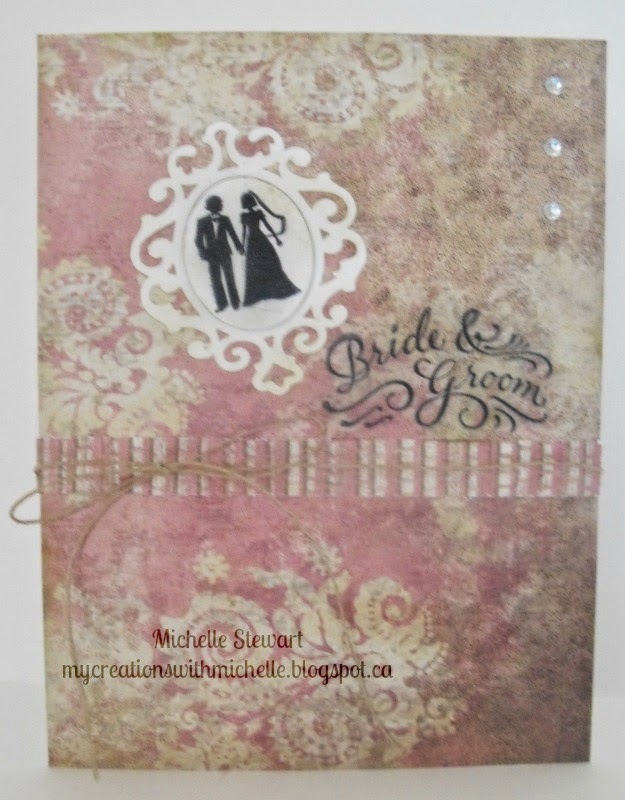 Instead I created this card using neutrals, and I have to say I really am happy with how it turned out. I started with a Cocoa mat for the base and each layer. I used Bamboo, Desert Sand and Cocoa Ink for the flowers, and the sentiment is stamped in Cocoa. I used a piece of the Burlap Ribbon and wrapped it around the main layer before adhering it to the Cocoa Cardstock base. The stamp used is long retired, but I really am partial to it, Treasure Life (D1306). Thank you for stopping by, and I hope you have time to head over to Atlantic Hearts Sketch Challenge to check out the creations from our Design Team. I knew exactly what I wanted to create when I drew up this sketch many months ago. It became so much easier to produce with the Paper Fundamentals Basics Assortment. 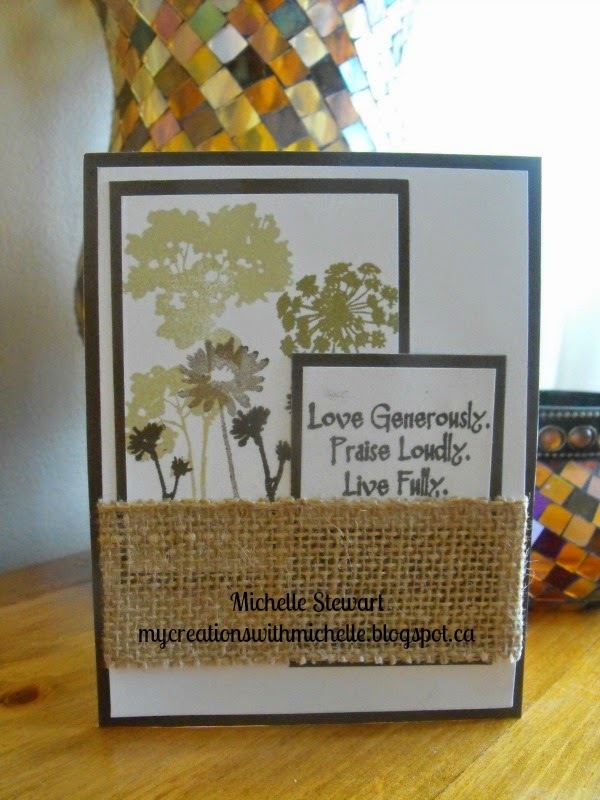 The paper package is so versatile that is made this creation quick to put together. 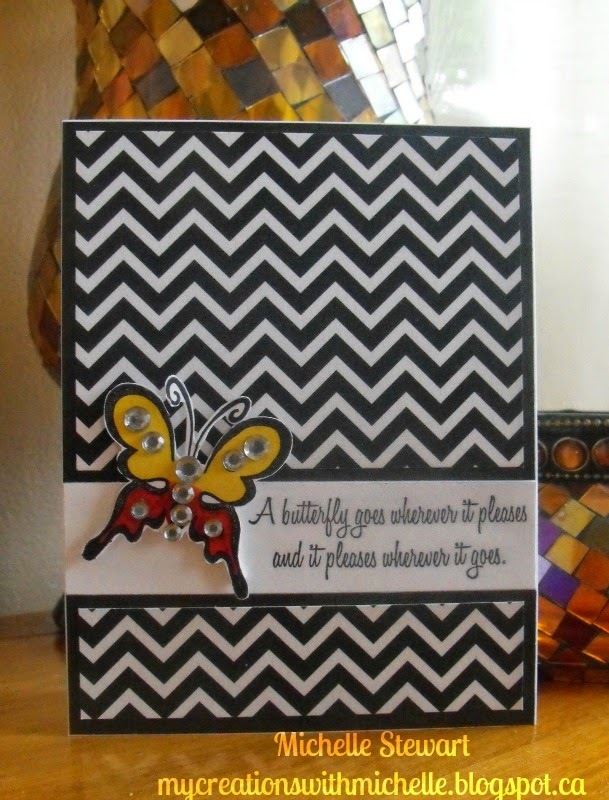 The stamp set I used for this is called Bugs & Hugs (D1535). I hope you will head over to Atlantic Hearts Sketch Challenge and visit our Design Team to see how they used this week's sketch to create amazing artwork. I drew for the winner of the stamp set by having my oldest daughter draw a name and the winner is "Danielle Hill", congratulations! If you have come here from Janet's blog then you are in the right place as this is a circular hop, or if I am your first start then that is great, because we start on the East Coast and head West. I've got 2 projects for you on this month's hop. The first is this Fancy Fold Tie Card. I've seen this type of card created by fellow consultants and needed to try it for myself. So while in Cricut Design Space I was able to pull images together and weld them creating this Tie Card. My second project is this Fancy Fold Purse. Isn't is super cute. I'll be using this purse to give to the teacher's for the Year End gift, and putting some yummy tea and goodies inside. 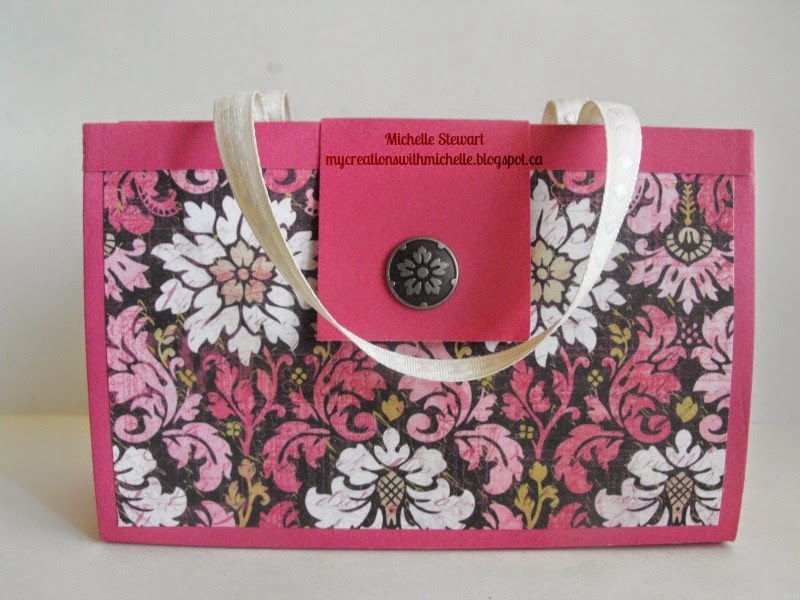 I can't take credit for the design of this purse, and if you would like to create one of your own, you can visit the PaperCraft Button on Youtube. Your next stop on the Cross Canada Hop is Krista of Simply Creating. I've been having so much fun creating new projects the past 3 days that I almost forgot I hadn't finished my card for this weeks sketch. I had all the elements ready, just needed to put it together. Have you ever done that? Started something, put it away, then came across something you just had to try to forget that the previous project was completed and you had a deadline. Leave me a comment telling me about your unfinished projects, and I'll enter you in a draw for this stamp set; Owls (B1450). Isn't this just the cutest stamp set. Remember to check back next week to see who has won. 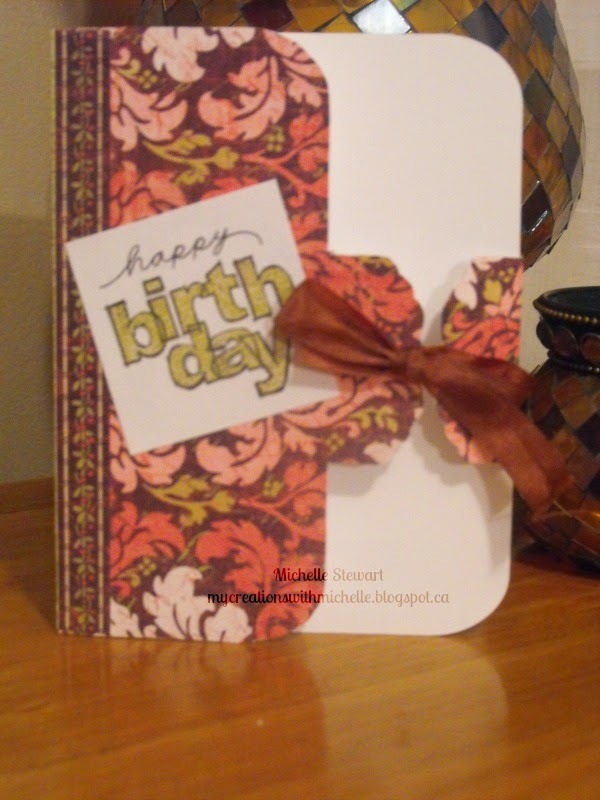 I started with a white cardbase and then I layered a piece of patterned paper from the Balloon Ride collection. The sentiment is from You are my Happy a campaign stamp set from last year, and it is stamped in Lagoon Ink on White Daisy Cardstock which is matted on Lagoon Cardstock. I used the retired Colour Ready Ribbon and inked it with Lagoon Ink. The flowers and leaves are from the hostess stamp set A Mother's Love (B1447). This stamp set can only be purchased by a hostess, so if it is a must have, contact me to book your home gathering. 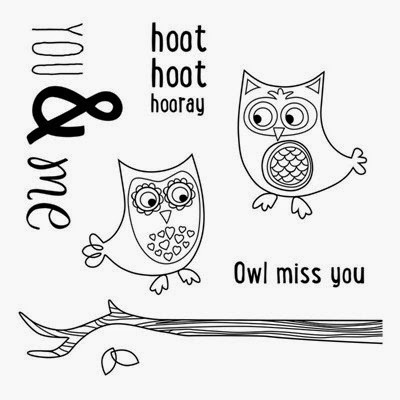 So, dont' forget to leave some blog love, then hop on over to Atlantic Hearts Sketch Challenge and check out the fabulous creations from our amazingly talented Design Team. We are celebrating 30 years in the Scrapbooking and Stamping Industry, that means that Jeanette and Close To My Heart has been providing us with quality products for 30 years. 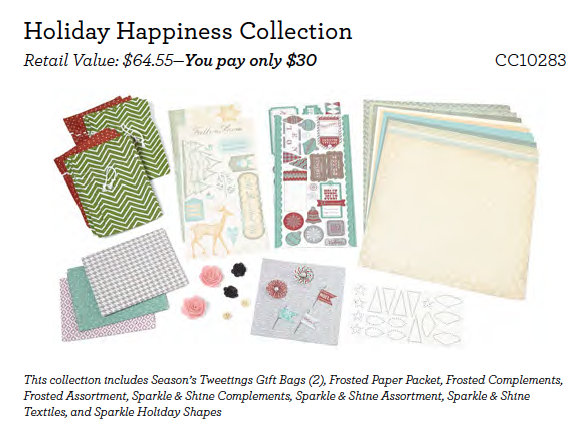 Our gift to you is to offer you these amazing collections for $30. 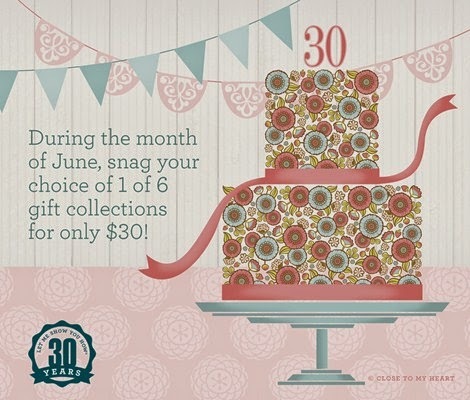 In the month of June, when you spend $50, you can add your choice of one of these six great gift collections to your order for just $30! Check them out! 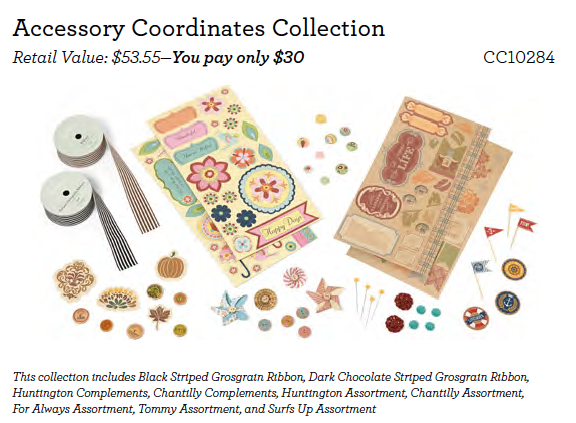 This collection is valued at $54 and you and add this to your order for just $30! Remember, these are only available in June (and while supplies last). 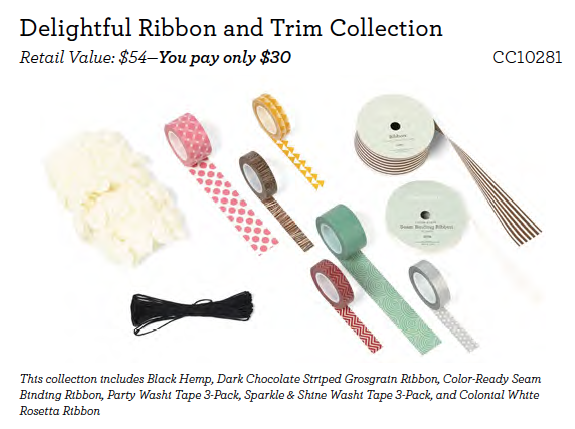 You must purchase $50 in products to be able to add these on to your order. 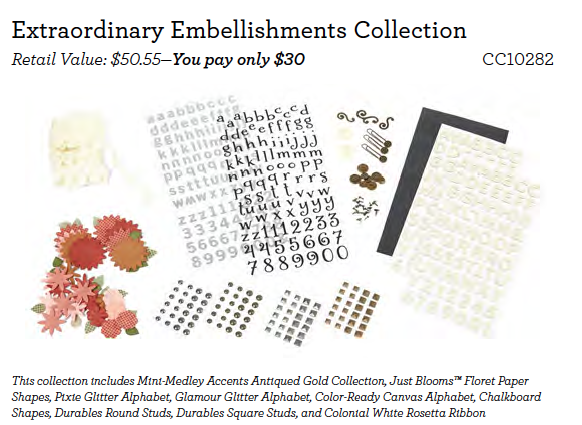 A lot of these items are NOT available in our catalog...so get them while you can! To start shopping click here, or you can set up a party and earn more rewards for FREE! So, my parents are going to a wedding this month for our cousin. My mother asked if I could make a card....I decided to use this week's sketch to create my card. I used some antiqued paper, and used the backside for the faux ribbon and some hemp for the bow which is wrapped around the faux paper ribbon. The silhouette of the Bride and Groom is popped with 3D foam tape, and had been distressed to flow with the antique look. Now pop over to Atlantic Hearts Sketch Challenge to see what our design team has created using this week's sketch.